Semeru Hiking and Mt Bromo tour 4 Days 3 Nights is combination volcano hiking special for Mountain hikers durated 4 days 3 Night duration. to see amazing Sunrise, Crater and another landscapes. 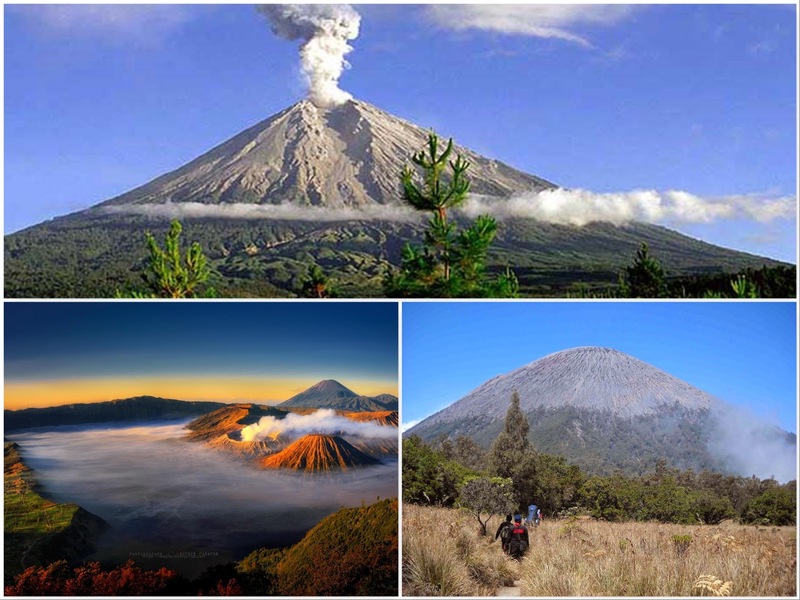 The nearest way to enjoy Semeru hiking package and Mount Bromo Sunrise tour is from Surabaya, Malang starting at 05.00 AM, and Finish at 05.00 PM (afternoon). Before start Semeru volcano hiking, very suggested to check your body health and do not forget to bring medical check to make registration terms when you will start Semeru hiking because you will climb up through steep path and spend about 4 hours climbing to Kumbolo Lake and 3 hours to Kalimati Camp. But do no worry, because you will be accompanied by Our tour guide and porters who have good experience on "Semeru volcano hiking" and guide You until Semeru Summit. The existance of porters in Semeru, in order to make your climbing very easy and also provide your dinner, lunch, hot water for coffee and tea, a tent to make camping, sleeping bag until toilet necessary. Our driver will pick you up using private AC (air conditioned) transportation in your arrivals at Surabaya, Malang (Airport, Train Station, Hotel) then take you to your homestay around Ranu Pane (nearest homestay from Semeru volcano) for 5 hours, then stay one night while enjoy mountain circumstance. Wake you up to have breakfast, take shower, relax enoughly. Check out then depart to Semeru post office to submit Semeru Climb registration (submit your medical check, entrance fee and passport). Start Climb to Kumbolo Lake for 4 hours with your porter have rented before, Reach Ranu Kumbolo, break for lunch and rest enoughly. Ranu Kumbolo / Kumbolo Lake is situated on a valley with the lake covering 12 ha. It is a rest area which has views and upland ecosystems, located at altitude of 2400 above sea level. Continue hiking to Semeru Kalimati Camp for 3 - 4 hours where we will rest and stay overnight by camping. 02.30 AM, Wake You up for preparing, then start visit Pananjakan (Jeep parking on highest peak) for 30 minutes using private Jeep 4 WD. Reach Pananjakan, starting your trekking to view point for 10 minutes and wait Mt Bromo Sunrise time at 05.20 AM. 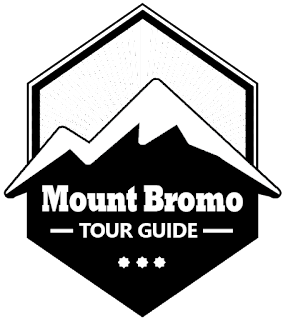 Enjoy Mount Bromo Sunrise tour package and other views until finish at 06.20 AM. Afterward, continue to the Crater for 20 minutes by stop in Sea of Sand (jeep parking). then, do Mount Bromo trekking for 30 minutes or using horse ride for 15 minutes. Check out from your hotel, Comeback to Surabaya, Malang, Banyuwangi. After You reach your location request, Finish Mount Semeru hiking 4 Days 3 nights.